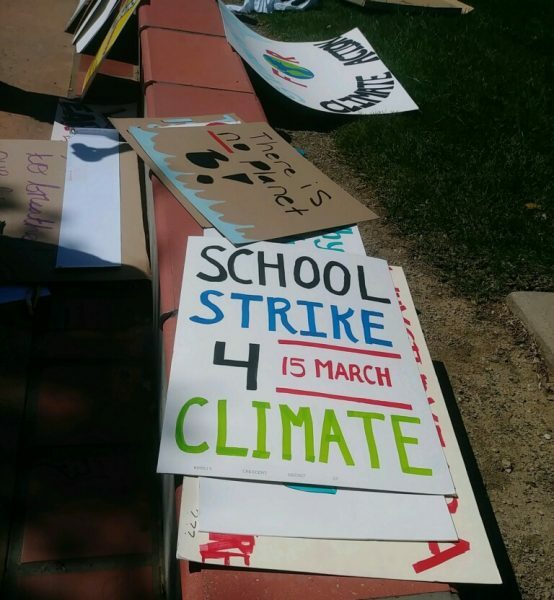 Locally, students demands included opposition to the Plains All American pipeline project, opposition to the Cat Canyon oil project, and to have SLO County join the city of SLO’s commitment to carbon neutrality. 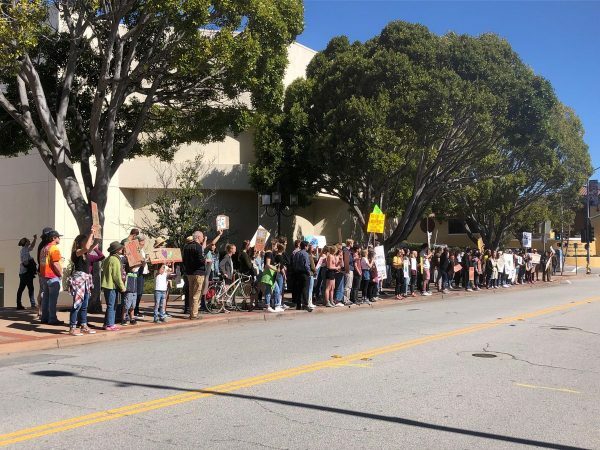 During the demonstration outside the San Luis Obispo County Government Center, participants held signs and spoke about climate change and the need for a healthy planet. Even though the protest was scheduled to run from 10 a.m. to 1 p.m., shortly after noon all the protestors had left some leaving the area littered with their campaign signs. I was walking downtown in SLO by the San Luis Obispo County Government building on Friday, and I was dismayed to see all of the trash that these so-called ‘concerned students’ left behind. If they are not even willing to pick up after themselves, why would we believe they are sincere in caring about the planet? These protests organized by the whacky progressive liberals has, for me, only worked to establish that the whacky liberals are not sincere in their advocacy, and they really are only interested in PR events to sensationalize their causes. Sure, why not bite the hand that feeds you? No fossil fuels and nuke plants….. no tax revenue for schools. Brilliant. The progressive socialists are playing the young people like a fine violin. Vote for me I will give you free medical,cell phone,rent subsidies help with your utilities. Nothing is free. Rep. Ilhan Omar’s (D-MN) daughter led the national movement of students seeking to ditch class on Friday to participate in a worldwide climate change protest. Check it out. google! Here is a little speech I would present to the students at a gathering if i was permitted to have the podium. How nice to see all of you here today, you have cut school to stand in union for something you think you believe in, here are some fun facts you can take home with you today. As you are against fossil fuels which are used in rubber products, please remove your shoes and place them in receptacles placed here, all except hemp and leather, then those of you with clothes made from cotten and polyester please remove those and place in the receptacles also, if you rode your bike here please on your way out see that gent there by the bike racks so he can remove the tires from your bike, Oh and the rest of you standing there with a smirk on your face with some article of clothing or shoes on remove that also. Now for the fun facts, petroleum is used in making rubber, gasoline and diesel fuel is used in the production of cotten from the tractors that till the soil to the trucks that haul it to the cotten jin and to stores here in town, petroleum is also used in tires, so you can ride your bikes home on the wheels, in fact petroleum is used in everything everyday to do things for you,everything here in wonderful San Luis is brought to you by truck, from the clothes you wear to the food you eat to the smart phone Mommy and Daddy paid for, you may think the green electricity you want to purchase to get away from big bad PG&E is wonderful but it takes trucks to maintain the power lines and poles, so what do you think will happen if you manage to ban fossil fuels. These young students are dupes of the whacky progressive liberals and all this nonsense is funded by George Soros and his Open Society Foundation. Get it? These students and their parents are simple dupes of the whacked out liberals, and the idea that students should be cutting school to protest this ambiguous issue is ludicrous. As usual, Heidi Harmon is wrong again. The United States is no longer on the map when it comes to pollution. LA smog alerts are a relic of the 70’s. Take your protests to India and China, and by the way, good luck with that, they don’t give a f**k.